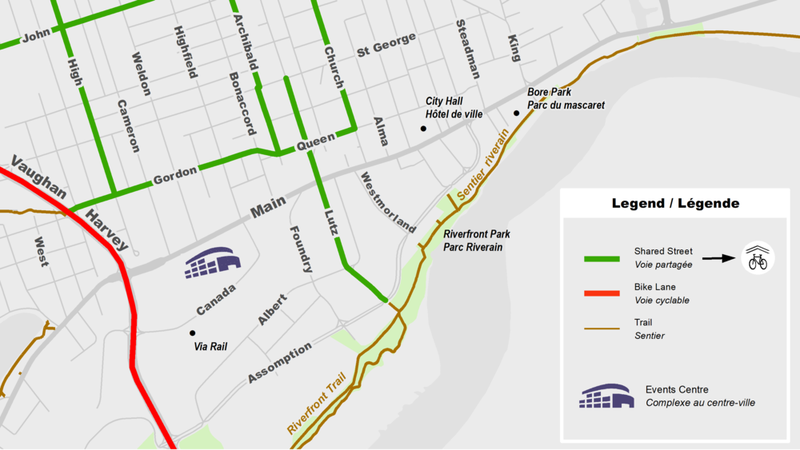 Cycling routes are available throughout the city including from Riverfront Trail, Vaughan Harvey Blvd., Gordon Street, Queen Street, High Street, Archibald Street and Church Street. If travelling down any of these routes, follow the Events Centre signage to the Centre. There are approximately 50 bicycle parking spots located in the outdoor Plaza site.